Monsoons in cities are characterized by overflowing gutters, incessant traffic and terrible water logging. The perfect solution that’ll save you from all this trouble is to get away and escape to a perfect monsoon destination. Sing and dance in the rain, enjoy it in its purest form, surround yourself with nature and indulge in some monsoon madness! 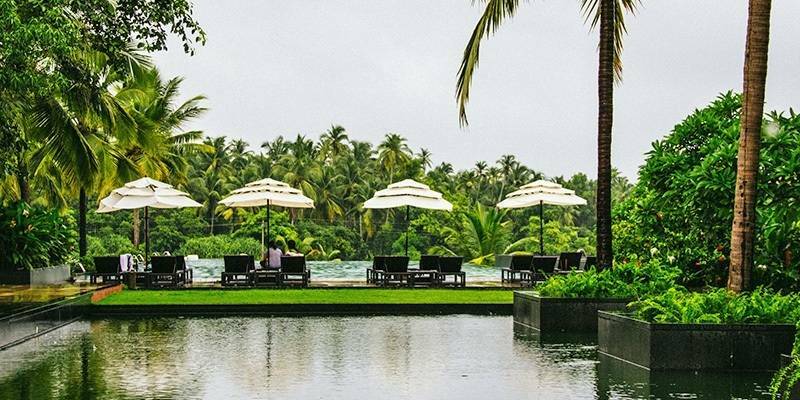 Here are some ideal monsoon getaways in India that will drench you in happiness. 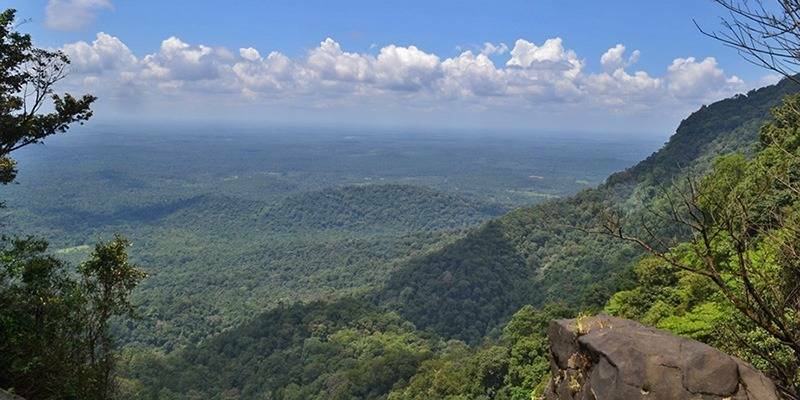 Home to the set of the olden TV show Malgudi Days, Agumbe is an adventurer’s paradise. Amidst dense tropical forests, evergreen hills and slithering streams, the village contains the country’s only Rainforest Research Area. Monsoons at Agumbe are harsh, being the second wettest place in India. The waterfalls and rivers flow in full force, making the scenery magical and misty. Agumbe in known for the various trekking trails and dense, leech-infested jungles. 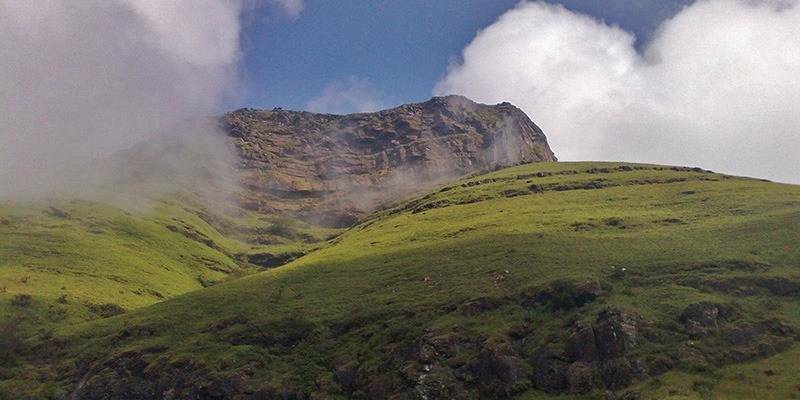 Only the brave and adventurous can make their way here for an exciting and extremely thrilling hike through shrouding trees, vines and rugged hills to explore the hidden beauty of the area. The charm of the village is during the monsoon, when the entire place blossoms into a vibrant green colour. The weather may be rough, so the village will pose a challenge to only those who are capable of bearing extreme conditions. Away from the pollution and heat of the city, the mountain pass of Malshej Ghat lies nestled among the Western Ghats. The perfect destination to visit during monsoons, Malshej offers an array of activities for both, the lazy and enthusiastic. The ghats are more dangerous during the monsoon, making them more adventurous and challenging for the daring trekkers. Plenty of beautiful waterfalls embellish the hills, enclosing them in cooling mist. Visitors can make the most of the cool temperatures and hike up to Harishchandragad Fort and Ajoba Hill Fort or indulge in some bird watching. Flamingoes visit Malshej only during monsoon, where they cohabitate the mud lands with other exotic avian species. The rains make Malshej bloom, causing grass to grow, rivers to flow and winds to blow. 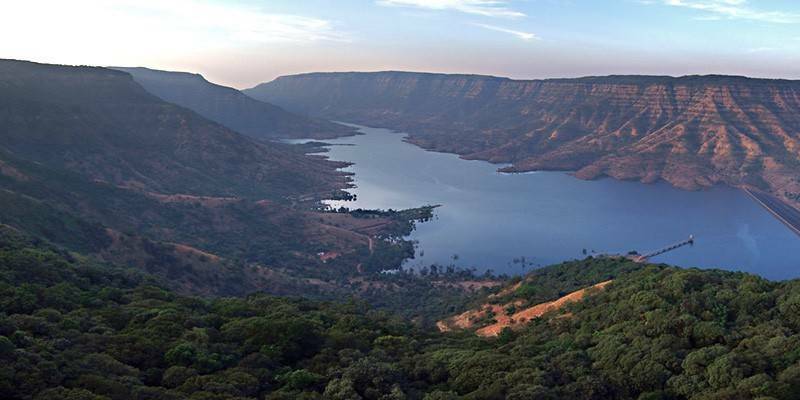 The large hill station of Mahabaleshwar attracts swarms of tourists, but only a few usually venture up to the hills during the monsoon. Little does everyone know that monsoon is when Mahabaleshwar comes alive. The incessant rain envelopes the town in misty clouds, cool air, a lovely petrichor and lush green vegetation. Most of the sightseeing and tourist spots are shut during the rainy season due to low visibility, however, visitors should relish the mystical charm for long walks and rain dances. Nothing compares to munching on hot corn cob and walking around in the rain. Adventure seekers can also take up a challenging trek among the hills. Waterfalls can be seen all over and wading in a few of them will also be permitted. Make the most of this season and explore Mahableshwar in its true beautiful form. Situated at the foothills of the highest mountain range of Karnataka, the town of Chikmagalur is a beauty of its own. Known for its many holy spots and trekking trails, Chikmagalur is a delight to visit during the rains. During monsoons, the town is ornamented by lush green vegetation, sweet sounding rivers, and flocks of exotic birds. 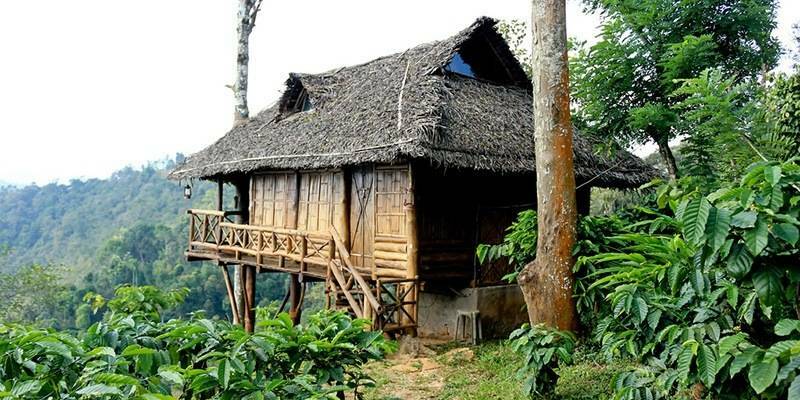 Coffee plantations all around the town fill the air with a tantalizing aroma, merging with the smell of rain and earth to leave you fresh and rejuvenated. You can explore the hills along trekking trails, or relish a scenic nature walk through forests, hamlets and coffee plantations. Stunning waterfalls provide a perfect opportunity to click some snapshots of the wonders of nature while getting engulfed in cool mist. 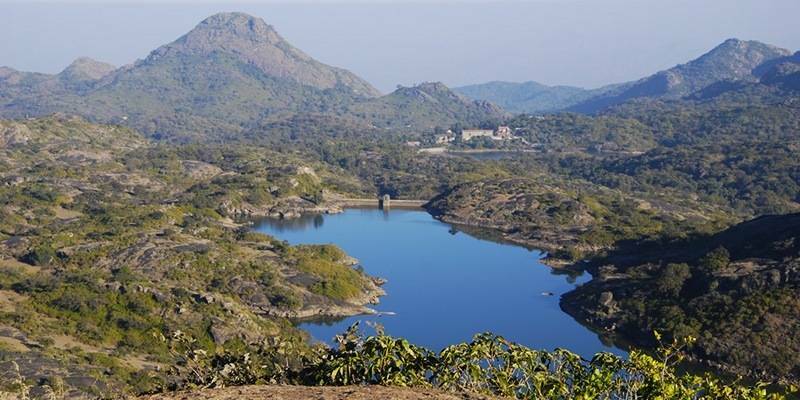 You can also make quick visits to the nearby Bhadra National Park and Dam, or visit a few of the holy temples in and around the town. 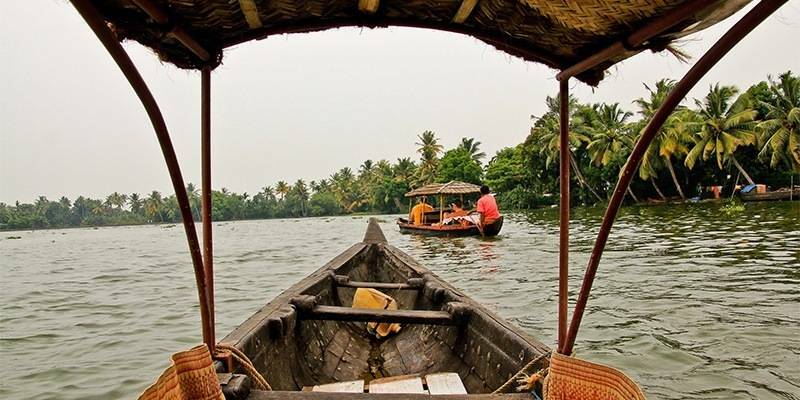 Popularly known as ‘Venice of the East’, Alleppey is an unusually pretty destination in Kerala. Home to winding waterways, palm tree lined canals and small hamlets, the city is a wonderful place to visit during the rainy season. In the heart of the monsoon i.e. first week of August, Alleppey hosts the annual Nehru Boat Race – an exciting event that attracts thousands of people from all over the country. You can witness hundreds of men on long snake boats winding their way through canals to win the big race! Besides this, you can relish the cool weather, the blooming plants, and flowers while relaxing in your houseboat. Take a pleasant walk around the villages and interact with locals, or gorge on some freshly caught prawns. The best part of visiting Alleppey during monsoon is that you will avoid hordes of tourists, making your trip more peaceful and pleasurable. Wayanad District in Kerala lies amidst the Western Ghats. A backyard for adventure seekers, Wayanad offers an array of trekking and hiking opportunities along the many ghats and plateaus. Embellished with tall green grass, healthy trees and deciduous forests, Wayanad is a pleasure to visit during the monsoon. The lower temperatures complimented with the sweet scent of honey, spices, and tea plantations enhances the soothing charm of the area. Waterfalls of different types and sizes can be accessed by trekking through forests and hills while silently observing little birds fluttering around the branches. 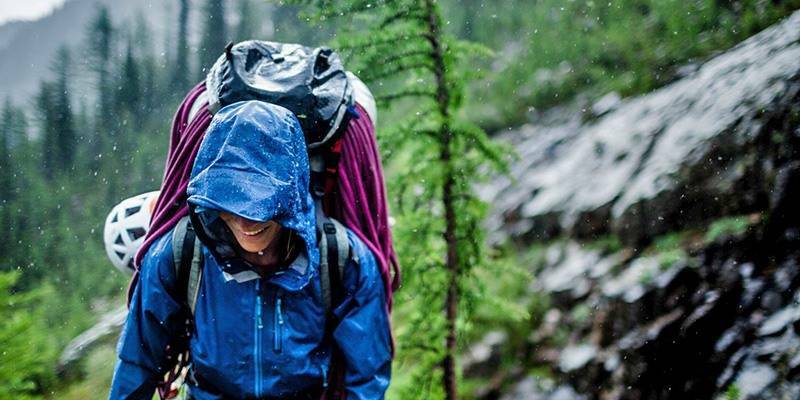 Camping on Chembra Peak during the rains is sure to blow you away, literally. Challenge yourself, exceed your limits and set your mind and body free by indulging in some excellent adventure at the untouched land of Wayanad. 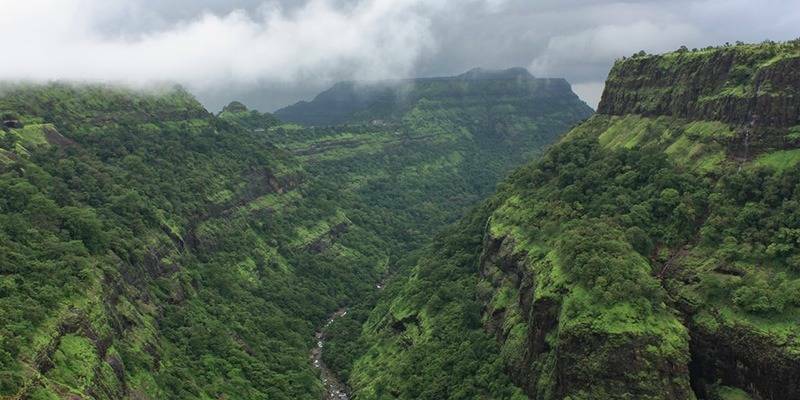 Easily accessible from Mumbai and Pune, Khandala is a popular getaway hill station. 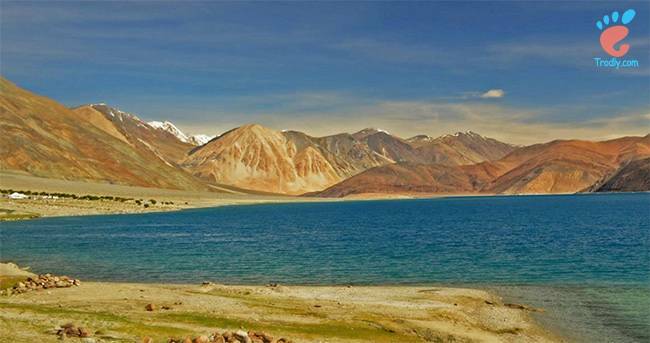 Loaded with tourist activities and resorts, the hill station is buzzing throughout the year. 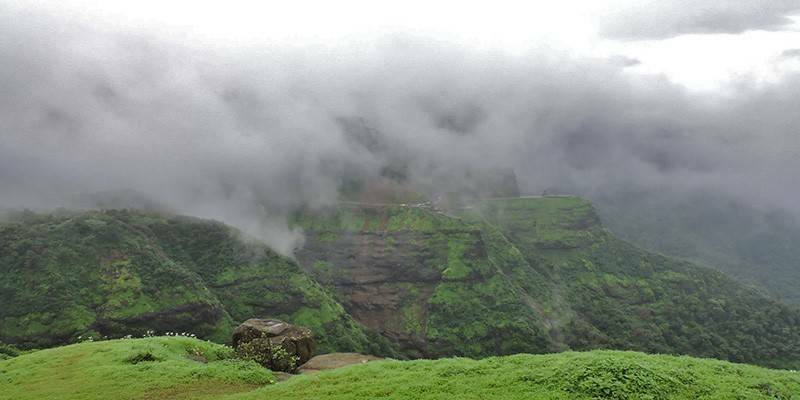 Visiting Khandala in the monsoon is an unforgettable experience. Dew covered plants, foggy roads, low temperatures and misty waterfalls make the town extremely beautiful. Bushi Dam must be given a visit, to see how the gleaming reservoir fills up in the monsoon. Just outside, you can munch on some freshly cooked corn or slurp hot Maggi, topped with a steaming cup of chai. Waterfalls are another major bonus of the rains at Khandala. Little streams to gushing waterfalls line the mountains around the town, giving you a plethora of options to choose from. Khandala will ensure that you have a great time dancing, walking and just enjoying in the rain. Usually associated with sand, sun and sea, little does anyone know that Goa also has plenty of other superb attractions. The best way to explore Goa is by renting a scooter and riding it along the palm tree lined roads in the rain. A trek to Dudhsagar Falls will leave you mesmerized by the beauty and greenery of the hills while a tour of blooming coffee, cinnamon and ginger plantations will soothe your senses. The colourful festival of Sao Joao is celebrated all around the city in June, when everyone gets on to the streets dancing and eating. Plenty of animals, including Bengal tigers can be spotted amidst the lush, green forests of the wildlife sanctuaries. Of course, the nightlife at Goa never stops buzzing, ensuring that you party even when it’s pouring outside. Therefore, don’t limit your Goa trip to sun and sand, for the rain brings with it far more joy! Famously known as the ‘Switzerland of India’, Kausani is a quaint hill station amidst the mountains of Uttarakhand. 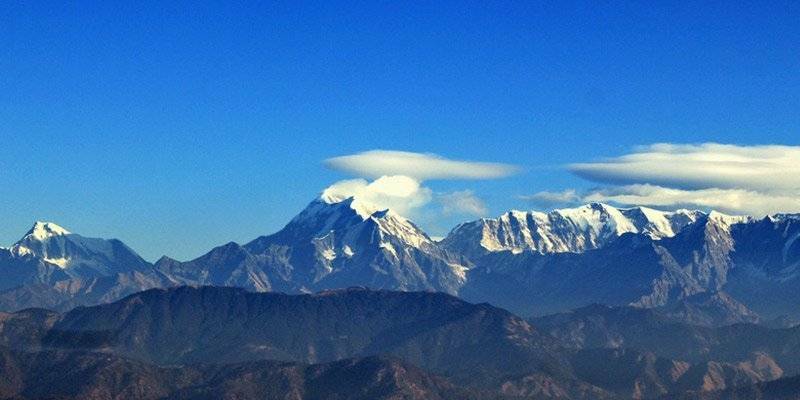 Like many other hill stations, Kausani is veiled by featherlike clouds, towering mountains and untouched nature. The hill station beckons visitors in the monsoons to experience the fresh greenery, flowing streams and the lovely scent of wet earth. Unexplored by too many tourists, you can make the most of this little town by taking a walk through pine forests, trekking up the hills, or getting lost in the fog. The rain may persuade you to meditate in the ashrams around the town, where you can unwind and concentrate on the pleasing sound of raindrops hitting the ground. Heavy rain often causes dense fog and low temperatures which will force you to stay indoors and reduce the visibility of the scenery around. However, the rains bring with them a mystical aura which surrounds the city, enticing everyone who sets eyes on it. Very few tourists visit the lone hill station of Rajasthan in the monsoon. Capitalise on this benefit and make your way to Mt. Abu for a fun, chilly trip. Wake up to the sound of raindrops clattering onto the roof of the hotel, take a stroll outside on the dew covered lawn and gulp in tonnes of fresh air. 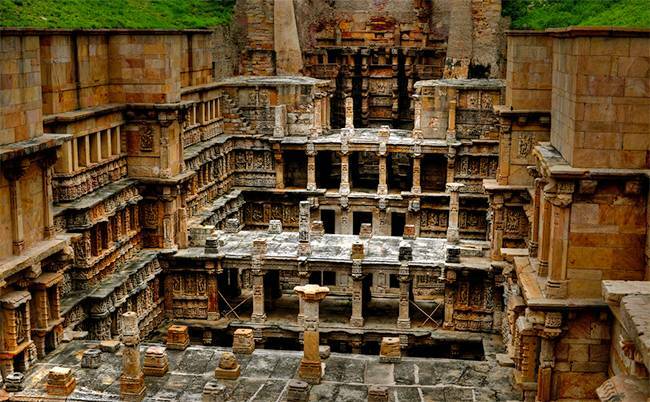 You must definitely visit the age old Dilwara Temples, see them wash cleaned and shiny by the rain and glistening during the daytime. The Nakki Lake is another major attraction where you can boat while it stops raining, following which a hot corn cob can be enjoyed. 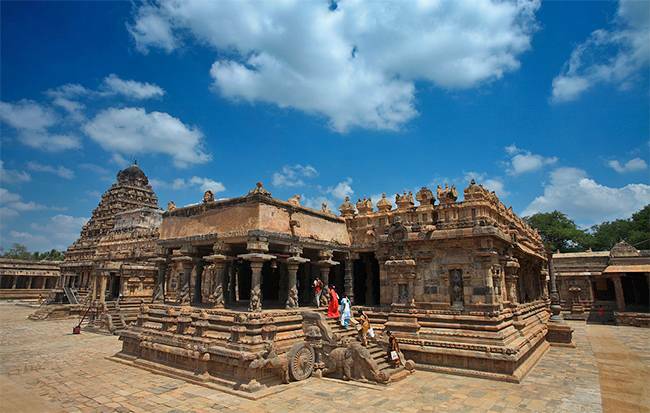 Plenty of other temples, and viewpoints can be visited during less rainy days. Of course, renting a bike and zooming along the roads in the rain is a completely unusual thrill! Mt. Abu is a wonderful place to visit in the monsoon, covered by blooming bushes and green trees. Visiting Munnar during monsoon will be the best decision you’d ever make. Beautifully terraced slopes of endless tea plantations, trickling streams, misty waterfalls and cool, fresh air makes the town an ideal relaxing getaway destination. A constant drizzle occurs all throughout the season and venturing out to explore the little area in this weather is appealing. 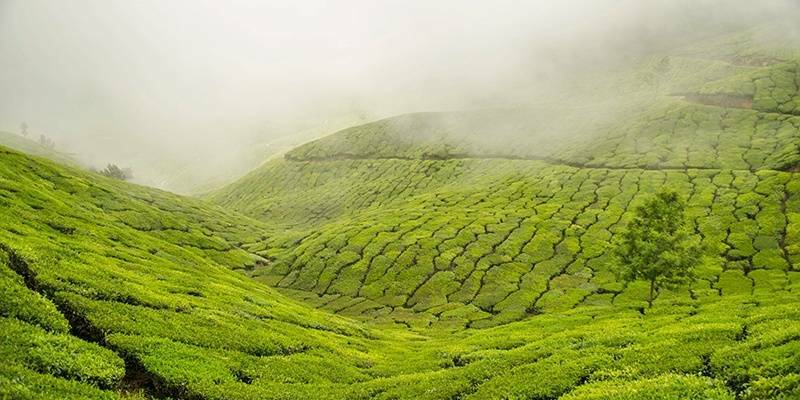 Walk through tea plantations, interact with locals, sip on steaming hot masala chai, frolic about in the muck and roll down hillocks making the most of the refreshing rain. Rejuvenation therapies have the best effect during the monsoons, go make sure to book your Ayurveda treatments at one the many hotels. Munnar definitely has a mystical charm during the rainy season, and you ought to let your mind, body and soul escape into the hands of nature. Monsoons at Kodaikanal are a treat to the eye. 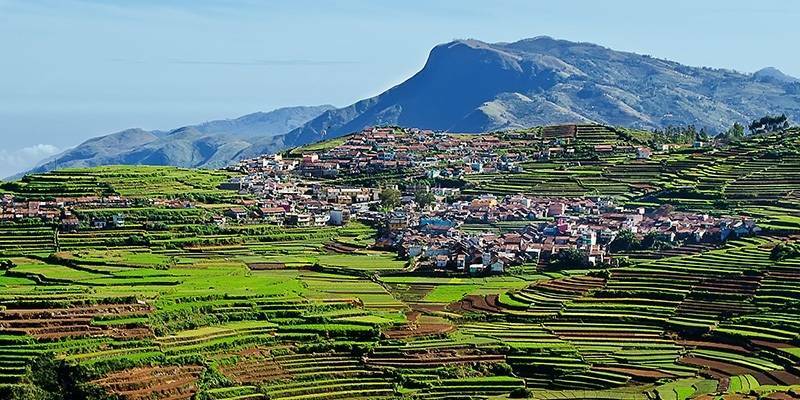 The queen of all hill stations in Tamil Nadu, Kodai has the perfect balance of light and adventurous activities. Be prepared to get soaked in the rain while cycling around the scenic Kodaikanal Lake, or simply renting a boat to row here and there. Steaming hot idlis will warm up your body, preparing you for activities yet to come. Best explored on foot, the town has dozens of viewpoints and walking trails through evergreen forests and flowering bushes. 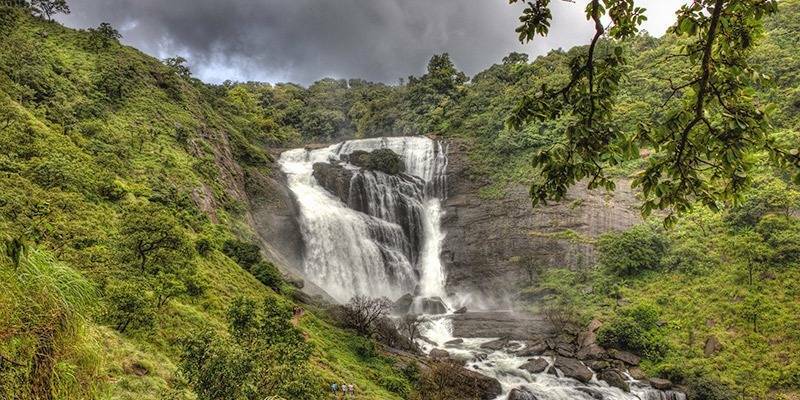 Coaker’s Walk and Brynt Park are the local’s favourites while serious adventurous treks can be taken to places like Dolphine Nose, Kurunji Andavar Temple, Pambhar Falls, etc. Lie around in your hotel, listening to the soothing sound of rain, or visit the market to buy some delicious home-made chocolates and eucalyptus oil as a memory of the wonderful trip at Kodaikanal. Vast green landscapes, aroma of coffee, refreshing drizzle, and cloudy weather characterize the enchanting monsoons at Coorg. A nature lover’s paradise, Coorg offers breath-taking views of coffee estates and the hills beyond. During monsoons, it’s best to sit in the hotel balcony, sip on freshly brewed coffee and dive into a storybook. When the rain stops, you can take lovely walks along the estates, discover slithering streams and watch waterfalls roaring fiercely. Adventure sports activities are also plenty. Making the most of the heavy rains, kayaking and quad biking can be undertaken in full swing! The thrill of these adrenaline-pumping activities gets doubled with the cold air and incessant downpour. Trekking and camping options are also available for those who want to avoid hotels and let loose in the untouched nature that Coorg has to offer. Visit this town and it’ll ensure that you let go of all your worries and inhibitions. 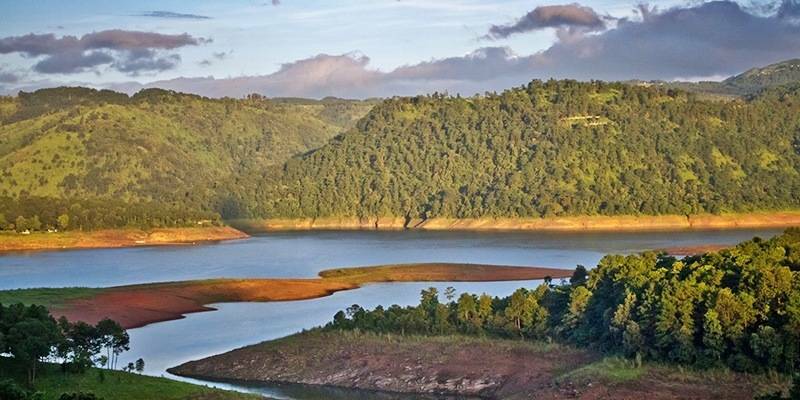 The bustling capital of Meghalaya, Shillong, houses friendly people, beautiful hills and a vibrant culture. Stroll around the town, its buzzing markets and just observe how content and happy the locals are. They emanate a positive vibe all around the town. Barapani Lake is perfect for water sports and trekking during the monsoons. However, Shillong Peak offers the best hiking experience. While relishing the fresh drizzle, you can make your way to the highest peak in the state, passing through dense patches and organic vegetable shops. Elephant Falls are a series of three sub waterfalls which gush down the hills rigorously, filling the air with mist and an invigorating sound. Furthermore, you can visit the Don Bosco Museum to learn about the north-eastern tribes. Popularly known as ‘Scotland of the East’, Shillong will leave you mesmerised by its beauty, especially when in the grasp of monsoon. 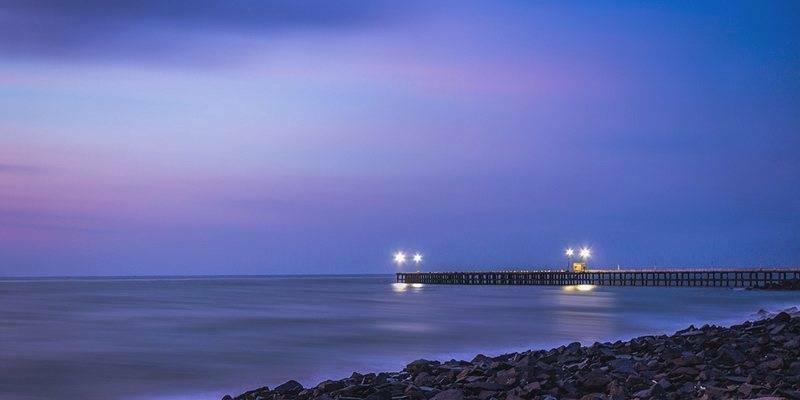 Once colonised by France, the little union territory of Pondicherry has maintained its European charm that can be seen majorly in its landscaping, architecture and food. Though a seaside town, Pondicherry is exciting to visit in the monsoon. The beaches may not be easily accessible at this time, but renting a cycle or a moped is the best way to wind your way through this pleasant town. Feel the raindrops pelting onto your skin as you find your way among narrow lanes and colourful houses. Freshly baked savouries from French bakeries are extremely indulgent and scrumptious. The Botanical Gardens are in full bloom during the rainy season, hence, you must definitely give it a visit, and enjoy a short toy train ride all around the circumference. An array of adorable cafes and restaurants serve international cuisines, especially lip-smacking seafood and meat. A perfect relaxing holiday at Pondicherry will make you appreciate the rains. An armchair traveler, Aashna loves Hollywood, supports Chelsea F.C. and spends time memorizing world capitals, reading and eating junk food. 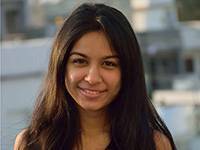 She aims to pursue travel writing alongside a vibrant career in advertising.